NosVille has been turned into a Winter Wonderland, Bash has ticked off his naughty list. It's time for the Winter Event everybody! You can enter both raids via NosVille. Enter the Snow Trail and choose the raid for your team that you wish to defeat! Obtain Maru's Raid Seal by defeating monsters in-game. 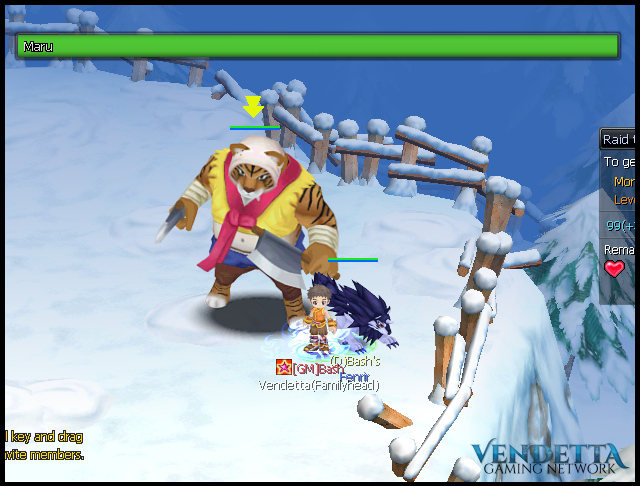 Gather your team mates and Fight against Maru the Tiger! Complete the Viking Quest obtained at Flake the Snow Fairy to unlock access to this dungeon. Obtain Snowman Raid Seal by trading either x30 Fresh Cream Cake or x30 Chocolate Cake to Santa Claus. 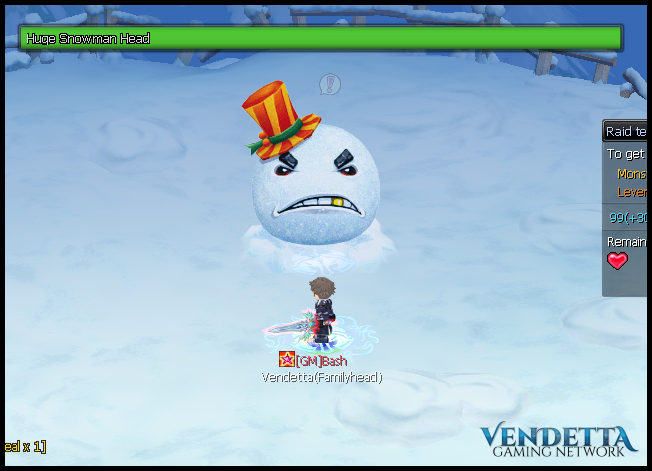 Gather your team mates and Fight against Snowmanhead! Santa Claus, Flake the Snow Fairy, Slugg, Teodor, Malcolm, Soraya, Wanderer and Eva Energy all have Winter Themed quests available with great rewards! All custom quests can be obtained at the Santa NPC in NosVille! NOTE: Players must be level 85 in order to do these quests. Successfully complete Maru raid x5 times! Successfully complete Maru raid x10 times! Successfully complete Maru raid x15 times! Successfully complete Huge snowmanhead raid x5 times! Successfully complete Huge snowmanhead raid x10 times! Successfully complete Huge snowmanhead raid x15 times! You can take this item to Santa Claus in NosVille where he will have his own Winter Themed Mystery Box requiring x1 of the VGN Santa's Coupon (Event). We have 2 Legacy Titles available until the end of the event. Obtained randomly by trading Santa's Coupon with Santa (Winter 2018 Event). Obtained by defeating 100 of each Winter Raid (Winter 2018 Event). We hope everyone has a great winter and keep warm! This event will end 10th January 2019. We are going to be extending this event for an extra week. We've received feedback from a lot of players asking us to keep it on for a little longer due to the cake bug. So we will extend it for an extra week. Winter Event will end 7th February.